If you&apos;re a sucker for a kebab, you can now get your hands on one without heading down to your local takeaway with this rave-reviewed home rotisserie. 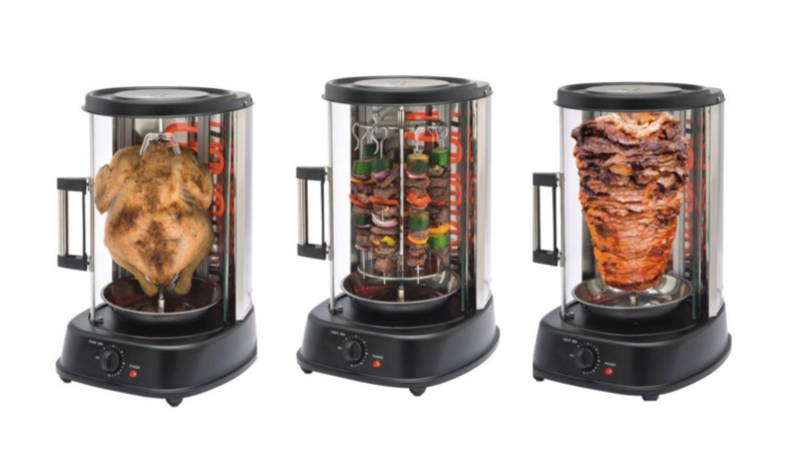 The rotisserie, which you can buy from Ebay for £59.95, has scores of five star reviews and is proving to be very popular with kebab-loving customers. The kitchen appliance comes courtesy of Daniel James, and it is big enough for to cook a large chicken or seven kebabs in one go. It is also pescatarian and vegetarian-friendly as it can cook up to three plates of vegetables or fish, making it the perfect addition to any summer BBQ. 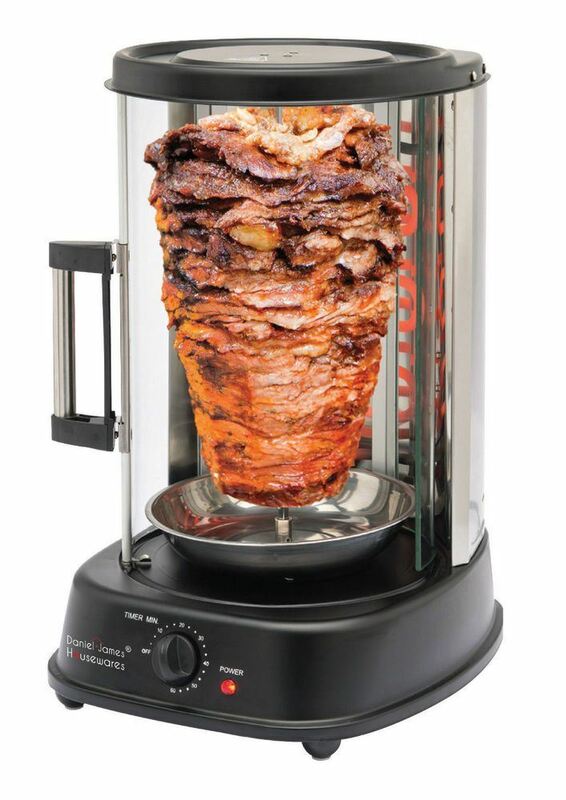 "With this rotating grill, you can enjoy the incomparable taste of freshly grilled delicacies in the comfort of your own home," says the product description. 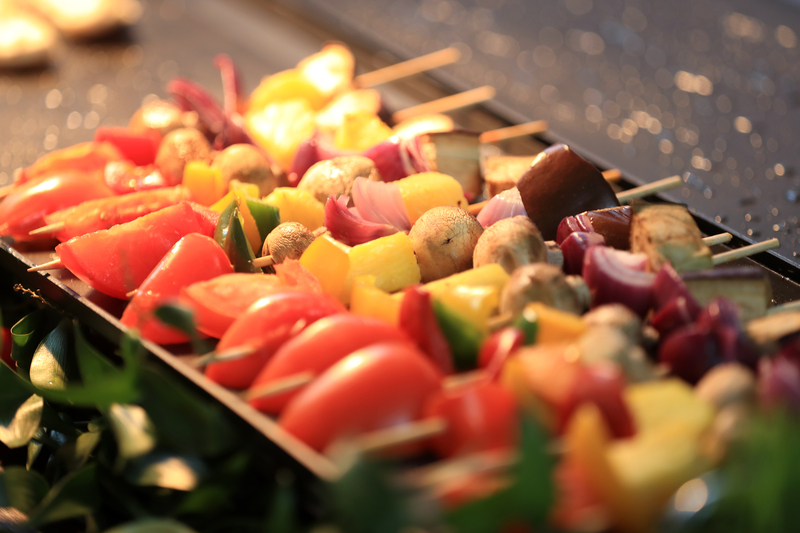 "Whether you are preparing crispy roast chicken, spicy kebabs, or a tasty meat and vegetable mix such as shashlik, the grill allows you to make countless meals on the fly." 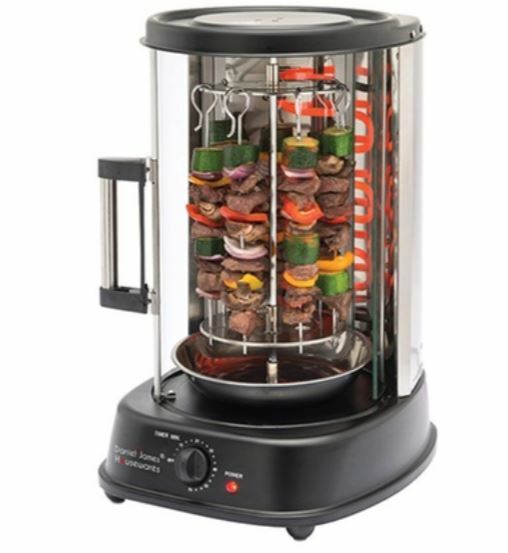 It adds: "The 360 rotating skewer ensures that successful and delicious barbecue dishes are only a matter of time and the rotating grill takes care of the rest." The grill comes with a drip tray for easier cleaning as well as a sliding clear glass door so you can keep an eye on the cooking. While the grill is sold out on Daniel James&apos; website, you can still purchase one of your own on Ebay where the kitchen appliance has an average 4.8 star rating from happy customers. "This is the best," reviewed one shopper, "I popped a small chicken in there it cooked it perfectly lovely & juicy chicken [sic]!" While another echoed: "Excellent - it cooks very well and evenly and does exactly what it says on the tin!" There&apos;s only a couple of the rotisseries left (at the time of writing) although you can pick up the same one for pricier £79.99 from this Ebay seller.